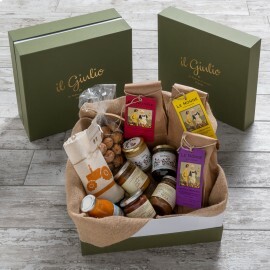 Order and get ready to taste the best Tuscan food: Country box, the marvelous and gourmet box, a refined selection of the top traditional Tuscan food, enjoy the fantastic savor of our specialties! 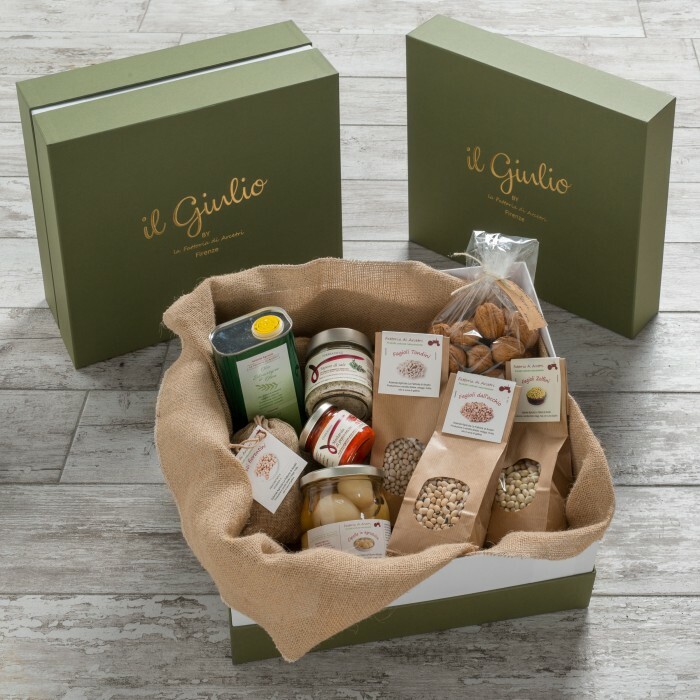 All the ingredients you will find inside the Country box are cultivated in the Florentine area, in the worldwide famous countryside. Our mission is to respect nature and enhance the “products of the Earth”: we take care of every plant, following the idea that an excellent project begins from its roots, destined to exalt the majesty of the seed. Only a genuine passion, together with careful attention, experience and innovative skills can, all in one, produce these small Florentine chickpeas, already sung in popular rhymes, nowadays served on the tables of many star restaurants, cooked in soups, puree or hummus. The “fagioli dall’occhio” beans reflect the authenticity, the memory of the grandmothers or housewives who prepared them “all’uccelletto” (it’s an ancient Tuscan recipe), the “tondini” are served usually with pasta, vegetables or stews, while the “zolfino bean” offers an unparalleled round taste. Exalt the traditional Tuscan food with some organic extra virgin olive oil and savor the best dish ever. In the Country box you will also find Italian walnuts and a special chilli pepper mustard, an explosive and delicious delicacy. The barbecue salt is much more than a precious gift, it is an invitation to share a tasty grilled with friends: for us eating is the simple pleasure of being together. Tuscan food, Country box, your (one way?) ticket to the Chianti region! Walk towards Guido and his little child Giulio, explore the territories of the Arcetri Farm or the Terre al Sole ones, and start dreaming, looking at the stars. 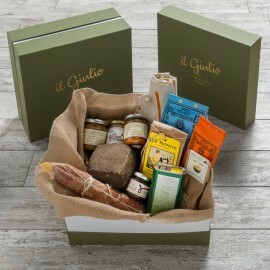 Choose now the delights and Tuscan food specialties, bring the magic of the Tuscan territory in your home.